Give your hair (and your ego) a beauty-full boost with our Full Bodied Volumising Shampoo. 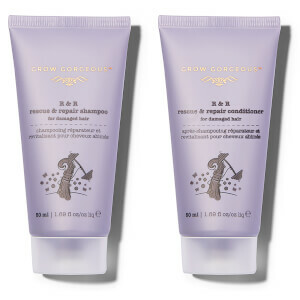 This revolutionary, volumising formula cares for and repairs hair, plumping skinny strands with a unique blend of proteins for gorgeously full, gravity defying tresses from root to tip. Forget back-combing, with our touch-to-style technology, tease hair into shape with a simple rustle of your fingers. Pea Peptides work as a disguise for skinny strands. The proteins act as a film-former to help build up each strand for a gorgeous head of full and healthy looking hair. The hard working proteins continue to work over time, so your hair never falls flat. Feather-light active micro-emulsion helps to repair and protect hair strands without adding weight or sacrificing volume. Perfect for thin or tired looking hair in need of a little ‘oomph’ to boost confidence and create fuller, shinier looking hair. I have long, thick hair so was dubious this would give me volume at the roots where I need it. Luckily I was pleasantly surprised! Smells fab and left my hair voluminous yet still really soft- will definitely be repurchasing! Just used the shampoo & leave in conditioner for the first time and my hair feels really light, bouncy and volumous. Much much better than everything else on the market which doesn't actually seem to work. Would definitely recommend! I've struggled to find a volumising shampoo that actually gives my hair volume, until now. It smells incredible and I'm a sucker for rose gold-esque packaging. Definitely re-purchasing!